things to eat in Boise. 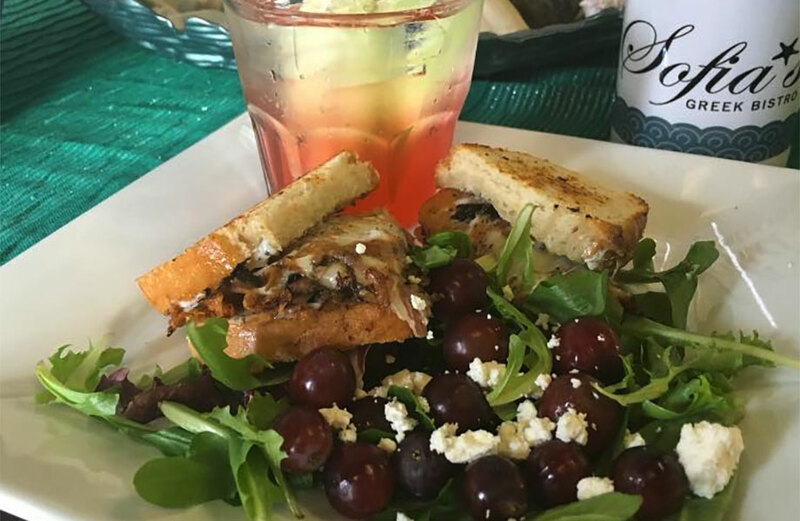 Unique, local treats aren’t hard to find, and no matter what type of food is your jam, there’s something out there to please your tastebuds. fries are the real star of the show here (it’s Idaho, after all). You’ll find everything from purple russets to yukon golds, with a variety of sauces to pair them with (blueberry ketchup, anyone?). And if you’d like a burger on the side, you’re in luck, because it’ll be one of the best you’ll find in Boise. Big Jud’s: This Boise legend not only has incredible burgers, but a wall of fame you can get your face on if you finish the two-pounder (plus fries and a drink). delicious homestyle basque food. Try the chorizo sausage (it’s amazing!) and the handmade french fries. If you’re feeling adventurous, stop by on Beef Tongue Saturday (it’s served from 11:30 until they run out, which is quickly!). 100 five-star Yelp reviews all referencing its amazing ethnic food and unique, but cozy atmosphere. Eating at Epi’s is like eating at your long-lost Basque auntie’s house. featured on Diners, Drive-ins and Dives and has shakes so thick and delicious they’re a meal all by themselves. Also, if you’ve ever wanted to get a prime rib dinner at a drive-in, this is your place! Ice cream potatoes: You’ll find these little gems at every fair and festival in Boise and surrounding areas (they’re also a Chef Lou Special at Westside Drive-In!). They’re spud-shaped vanilla ice cream sculptures, rolled in cocoa, topped with whipped cream and chocolate sauce. We told you, Idaho pride. Bleubird Cafe: This local favorite is only open for lunch, and it’s a good idea to go early because it gets PACKED. And with good reason. A rotating menu of creative, delicious, made-fresh sandwiches (try the pastrami reuben), soups (the creamy basil tomato is amazing! ), and sodas (the Pomegranate Sage is fabulous) makes this cafe a can’t miss. Guang Zhou: Don’t let its unassuming location next to Boise’s biggest movie theater fool you. Guang Zhou is Chinese food that’s both easy on the wallet and the palate. Their General’s Chicken alone has inspired something of a cult following. Wild Root Cafe and Market: Local, sustainable ingredients and a great selection of creative, delicious grab-and-go items. We recommend the pork belly BLT! Alavita: Charming downtown locale, soft lighting, and a plethora of unique and delicious Italian dishes. Try the squid ink pasta and the burrata. Locals give this little treasure rave reviews. 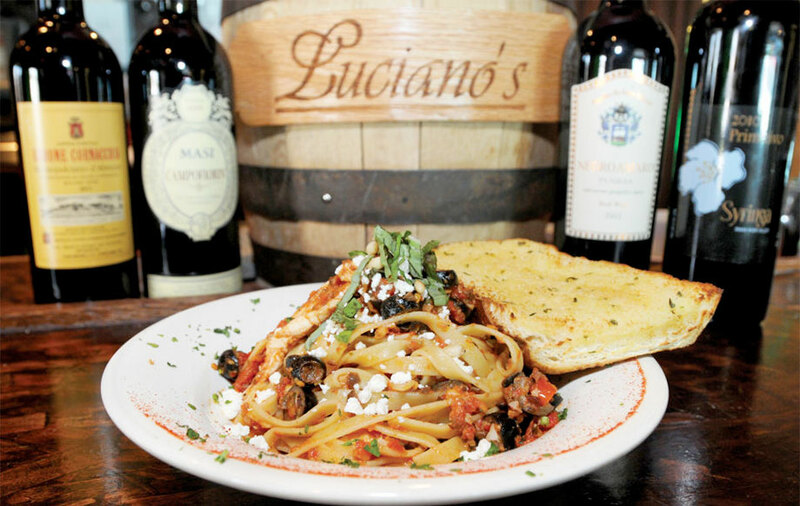 The owners of Luciano’s pride themselves on quality food that is reasonably priced. The casual environment makes this Italian joint great for couples, friends, and families alike—and the word is spreading. The restaurant has been open for less than four years and the owners are already looking for a second location. That being said, Luciano’s tends to get a bit busy during the weekends, so the staff recommends you call ahead to get your name on the wait list. Make sure you try the Quattro Formaggio and any of their desserts (they’re all delicious! 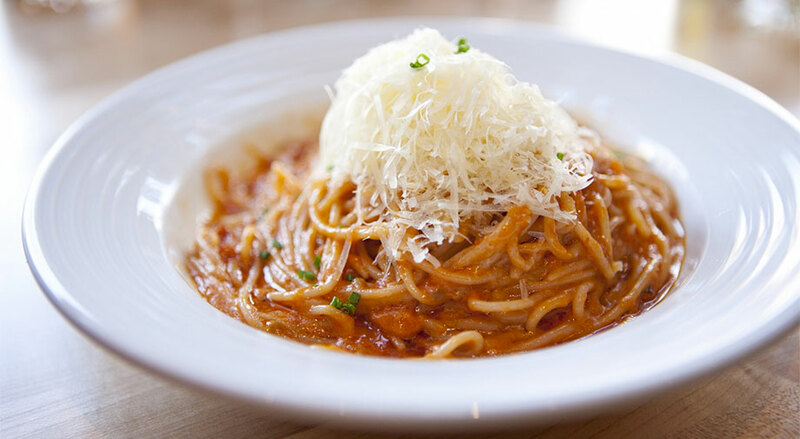 ), but the staff recommends the Spaghetti Bolognese and Marcello Chicken Linguine. JP Thailand Express: JP is a bit of a drive from Boise proper—it’s located in Nampa (and in a strip-mall), but don’t let that dissuade you. It’s well worth the trip. The Pad Thai, Tom Yum (lemongrass soup), and Tom Kah (coconut soup), and garlic chick are can’t miss. Pad Thai House: Fresh, fast thai food in Boise proper. The combination spring rolls and pad wonson are incredible, and the service is fast and friendly. Sofia’s: An intimate atmosphere with hipster Greek decor. Not to mention live belly dancing every third Saturday night! The lamb pita and the Santorini flatbread are our recommendations here. Gyro Shack: Fresh, Greek, fast are the name of the game at this local joint. Drive in and drive out with some tasty food. We recommend the chicken bacon ranch pita. Fork: If you head to Fork, we recommend reservations or arriving early. It’s a hugely popular local destination. We can’t choose a favorite when it comes to main dishes, but be sure to end the meal with the butter cake. It melts in your mouth as easily as butter. Chandlers: This is a local institution for fancy dinners and celebrations. Enjoy nightly live jazz, top-shelf whisky on the rocks, and a perfectly cooked steak in this swanky setting. Enrique’s: Previously known as El Gallo Giro, Enrique’s is located in Kuna, just outside of Boise. Something of a local legend, you’ll want to try the chimichangas and tableside guac! Flying M Coffee House: Head to the Flying M if you need to pick up a unique gift while you’re at it. 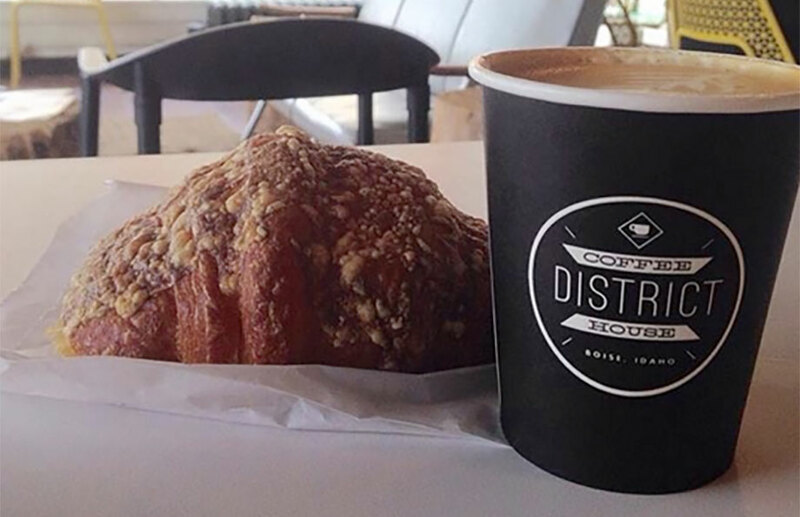 The coffee and pastries are delicious, and you’ll find it’s a popular local hangout or office away from the office for many locals. The small gift shop inside holds plenty of wonders in the form of cards, books, and wearables. Big City Coffee: The food is one of the biggest draws here, with amazing breakfast sandwiches and lunch fare. It’s packed on weekends. District Coffee: This coffee shop is a popular local hangout with live music on weekends and plenty of couches and porch-space to spread out. Idaho Pizza Company: This local chain uses cheese and most of its toppings sourced directly from Idaho. Try the Cascade Chicken Garlic, and don’t miss their garlic cheese twists (and maybe grab a couple of mints at the counter on your way out). Lulu’s: Get your pizza by the slice and your sushi in one convenient place. Weird combination? Locals know better. The sushi is good, and the pizza is fresh New York style goodness. Try the barbecue chicken and their homemade meatballs appetizer! feature on Man vs. Food) calls out names on its billboards each day. If you see your name, you get to come in to make a free pizza. Creative combos abound, and the chefs test out new combos weekly at “gourmet” night, where you can try as much as you can handle of 12 new pizza creations plus dessert for only $8.50. Shangri-La Tea Room: While the atmosphere might be a little frilly for some at first glance, the food will make you forget the doilies pretty quickly. 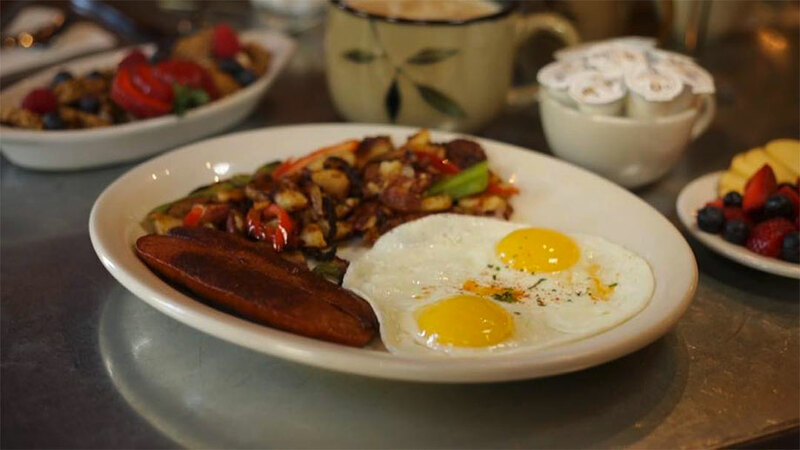 The monte cristos are a must-have, tea-lovers will find every variety imaginable, and Sunday brunch brings its A-game in variety and quantity of options. Goldy’s: Get there early on the weekends (and even weekdays sometimes) or face a wait of up to two hours. It’s hard to go wrong with the menu, but whatever you choose make sure to try Goldy’s Special Potatoes. Merritt’s: Merritt’s is something of a dive. But its scones more than make up for that fact. Huge, hot, and buttery, they’re the perfect casual breakfast. Janjou Patisserie: As with many gems, this little french bakery is in an unassuming strip mall. But freshy, flaky chocolate croissants, creamy rich hot chocolate and fresh squeezed orange juice (and baked from scratch desserts to take home for later) will have you coming back over and over again. Guru Donuts: Who doesn’t love a donut? But these aren’t just any grocery store, big chain, boring and greasy concoctions. No siree. 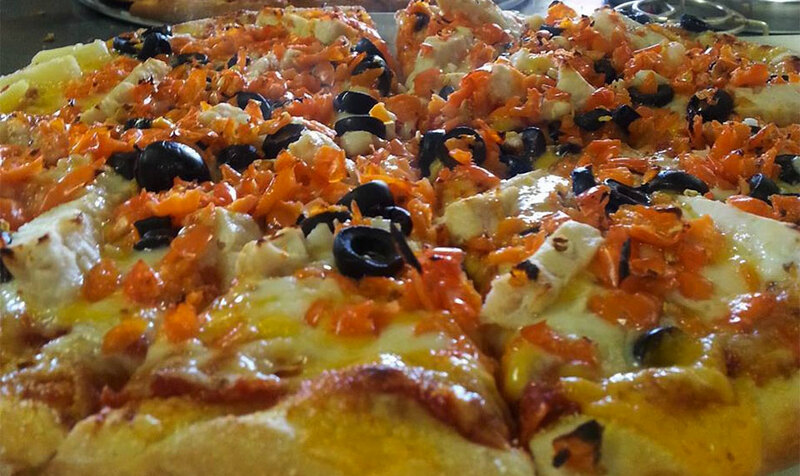 These are 100% fresh-made from scratch with no artificial colors, additives, or preservatives. Instead they use in-season local ingredients whenever possible. Oh, and they’re totally delicious. 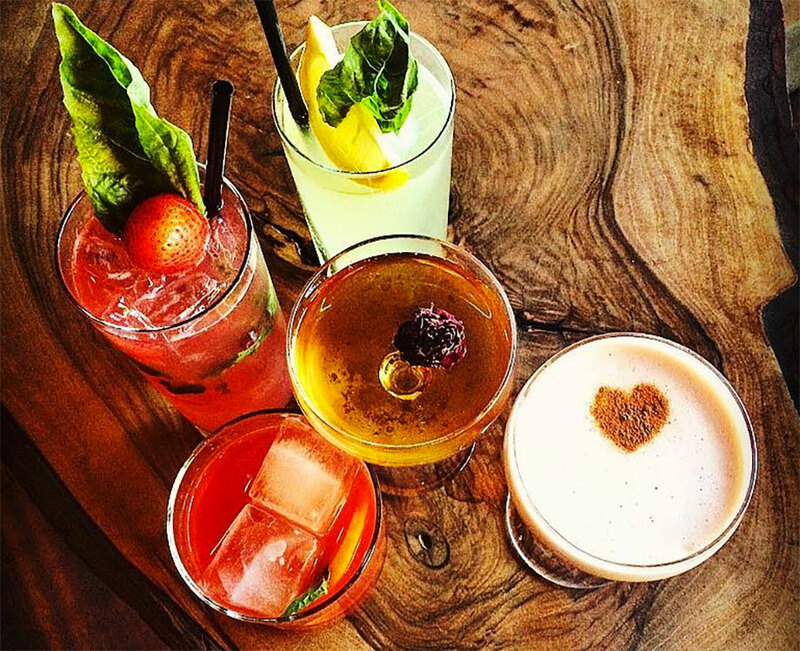 Bardenay: Most of Bardenay’s cocktails are made with its own distilled rum, gin, and vodka. The food is incredible too (the Hagerman Idaho Trout is fantastic). In the summer you’ll find people flocking to the patio to grab a drink and relax. Red Feather Lounge: Red Feather is a swanky downtown Boise joint that specializes in cocktails, beer, and fresh local fare. The polenta fries and kale caesar are fabulous. 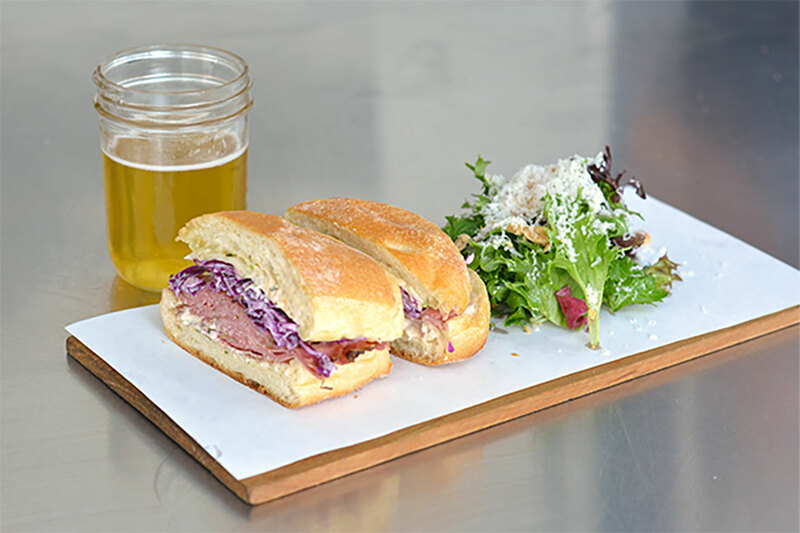 10 Barrel Brewing: Good beer and good food in a casual, bustling atmosphere. Try the peanut butter bacon burger or the BLT with a fried egg and avocado on top. Bodovino: This wine bar is located in the heart of Boise downtown (or “BoDo”) and features 144 wines on tap. You can try them in one-, three-, or five-ounce portions. It’s a popular weekend spot and marketed as the ultimate wine-tasting experience. Solid: Great food and atmosphere with a spacious interior and patio, plus live music and a prime location in downtown Boise. While you’re there, check out it’s counterpart, Liquid (do it on a Wednesday and catch some local flavor at open-mic night, affectionately known as “Liquid Laughs”). 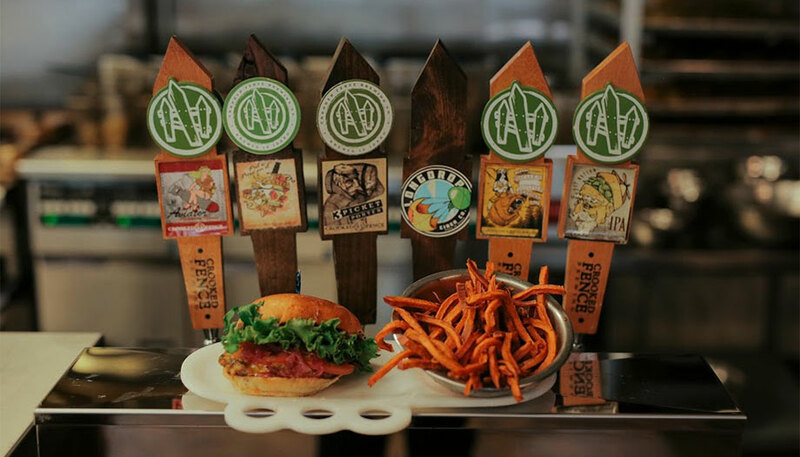 great dining options in Boise! Keep exploring the Boise Insider’s Guide for other great tips and insight. Idaho Heritage Inn: This bed and breakfast is set in Boise’s tree-lined walkways on the edge of downtown and includes free bike rentals so you can explore the picturesque, older neighborhoods. You’ll find rooms with period decor, jacuzzis (heated by geothermal water from a natural underground springs! ), fireplaces, and a homemade breakfast in the morning. The Modern Hotel: Just a stone’s throw from the Boise Art Museum, the Modern is a chic, sleek uptown hotel with all the extras. Some of the suites have large soaking tubs and balconies, and in the summer, patrons enjoy live music in the large courtyard. Boise Hillside Suites: Tucked away in the foothills of Boise, these suites make you feel like you’re in the middle of nowhere, just minutes from downtown. Elegant and unique, with a private hot tub and beautiful location. Shore Lodge in McCall: An elegant, upscale lodge in McCall for a great price. Most rooms have breathtaking views of the lake, where you’ll find fresh chocolate chip cookies by your bed each night. The enormous blazing fireplace in the main area is the epitome of cozy during the winter. Knob Hill Inn in Sun Valley: Large, spacious rooms in a small, boutique hotel that faces the cemetery where Ernest Hemingway is buried in a quiet, intimate locale. The food and bar are top notch, and you’ll find fresh baked cookies in the afternoon. 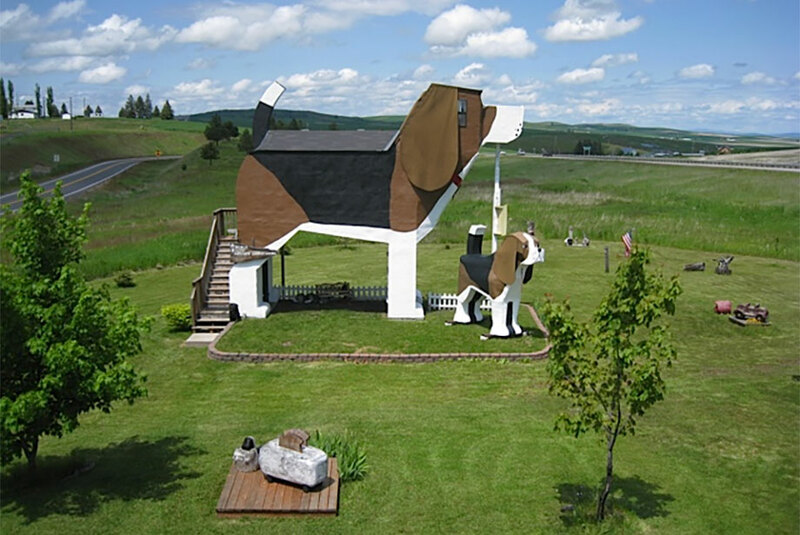 Dog Bark Inn: This quirky Idaho original is a fabulous little bed and breakfast that has become a cult classic, with dog-lovers traveling from across the country to stay here. Enjoy a view of the stars from the balcony, and enjoy treats provided by the owners (who live next door) for people and pets alike. 4D Longhorn Guest Ranch: “True-country” hospitality with home-cooked food, comfortable rooms, well-broke horses, and knowledgeable ranch hands. Stay for a day, or for a couple of weeks and improve your riding skills, learn how to rope, or help out with a real cattle drive. This hidden gem is only about an hour and a half outside of Boise. 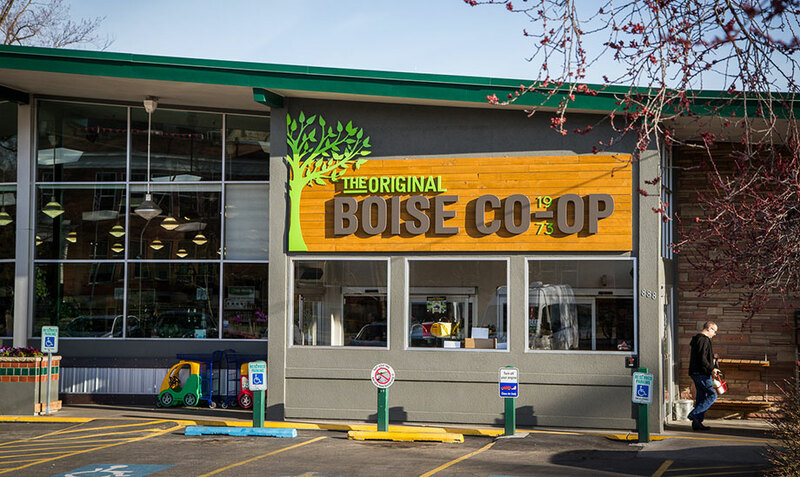 Show your Boise pride with these local shops that go above and beyond when it comes to service and product offering. Wear Boise: The tagline here is, “Don’t just love your city; wear it.” From their popular “bearded Idaho” icon to the shirt that tells you how to correctly pronounce Boise (Boy-See) you’ll find a plethora of wearable Boise pride here. Sesqui-Shop: Check out this gallery of local artists and Idaho-style goods with a focus on Idaho history. The Record Exchange: Peruse the aisles of this local joint where vinyl is still appreciated and all things music and retro are available for your listening pleasure. Plenty of artists (local and national) come through here, and you’ll find unique gifts and local treasures galore. North End Organic Nursery: Dedicated to local, sustainable gardening and landscaping, you’ll find quality advice and plants here. Everything to make your yard and garden thrive in Boise. Flowers at Will: Unique, quirky gifts and flower arrangements that aren’t from the typical assembly line. Whether it’s for a wedding or an everyday “I love you,” they have Boise covered. Renewal: This home goods consignment shop consistently wins best of Boise in its category and features high quality, unique, vintage and antique home goods at great prices. Items on the floor go fast, and there’s always a lot of new pieces. Repeat Boutique: Consistent winner of best in Boise for clothing consignment, Repeat Boutique has a fabulous selection of clothing, and an impressive selection of new-to-you designer handbags. Rediscovered Books: Adorable local bookstore with plenty of author readings, storytimes for the kids, and a terrific selection of books with a quirky hometown vibe. 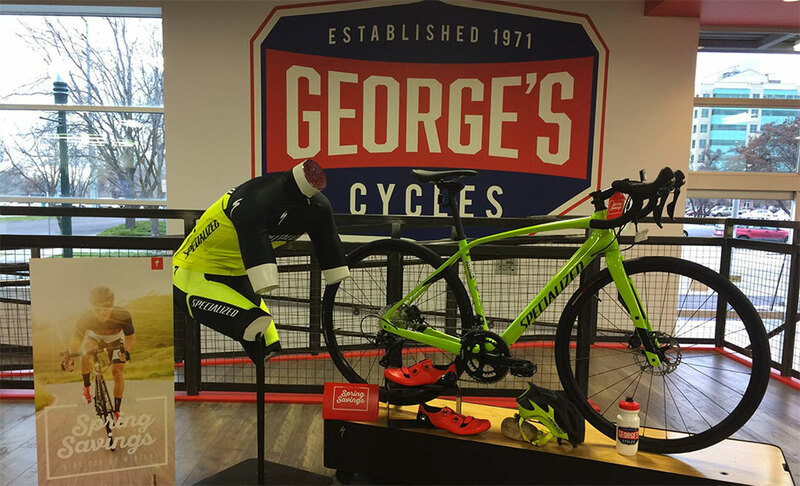 Georges’s Cycles: Whether your bike needs a tune-up or you need to get yourself a pair of wheels to cruise the Boise greenbelt, George’s is the local go-to for bikes.